Attendees will be learning in a flexible environment with a fast-paced schedule. We want our guests to be comfortable in casual attire. New format. New location. New vision. We are taking this theme of transformation literally — and figuratively. Join us September 16-18, 2019 at Morgan Manufacturing, a former manufacturing plant in the heart of Chicago’s industrial park – a true paradox of integrating the new amongst the old. Hear from change agents – individuals who championed digital, driving their organizations to exceed the needs of their clients and partners. 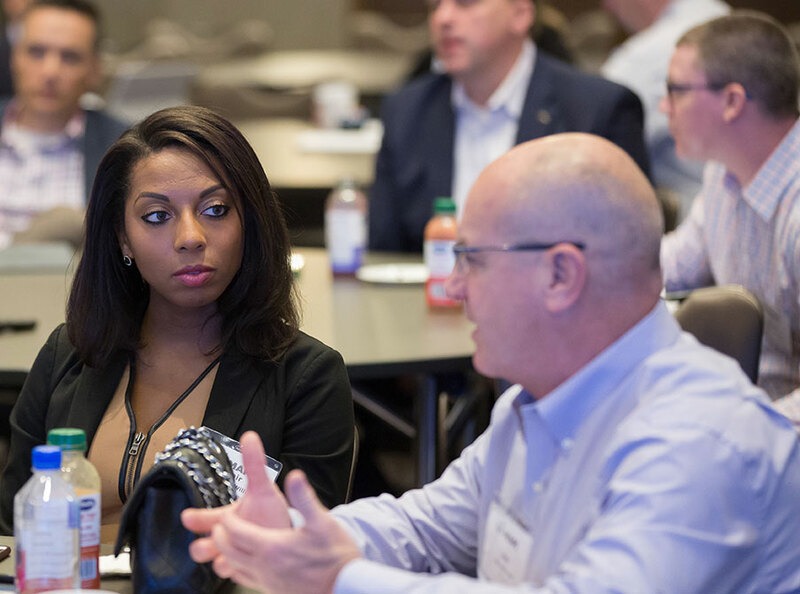 Be challenged outside of your comfort zone and network with your manufacturing peers — leave with compelling insights to help you plan for the future state of your organization. A transformation has taken place among the former factories, wholesale markets, and warehouses on the edges of downtown. One of Chicago's fastest growing neighborhoods, the West Loop is a study of contrasts. What used to be the epicenter of factories and warehouses has transformed to house an eclectic mix of business and restaurants. In one corner you’ll see the McDonalds HQ and the other Michelin Star restaurants. Interspersed among the West Loop luxe lofts and the chic retail boutiques are galleries, design stores, and antique sources that give the area its creative edginess. West Loop pays homage to its industrial past while breathing life into a new kind of experience. Chicago has long been a destination city, and the hotel scene has been hopping for many years. West Loop has seen a influx of trendy boutique hotels that would make a great choice for a conference stay, and with a wide range of easy transportation options, staying in other parts of the city are convenient as well. West Loop’s slew of new sleek restaurant openings has centered around Randolph Street and nearby Fulton Market. The aptly named "Restaurant Row" doesn't discriminate against nightlife either so the selection on these few blocks alone is staggering. You can go from sushi bar to sports bar, bakery to brewery, wine tasting to taquería — all within this stretch.